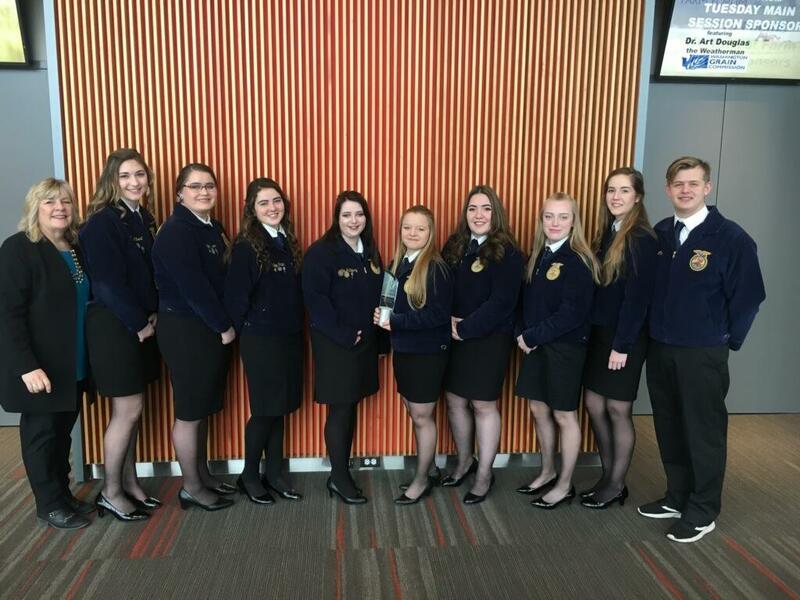 Congratulations to Medical Lake High School's FFA Team for receiving the Excellence in Agriculture youth division. 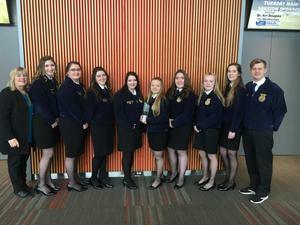 The award was presented by the Spokane Ag Bureau on Tuesday, February 5 at the Spokane Convention Center. Pictured from left to right: Ms. Jennie Wagner, Kirsten Gilbert, Emily Zunker, Riley Petek, Madison McHenry, Cheyenne Bridges, Gabby Town, Mallory Rutzer, Alex Jones.